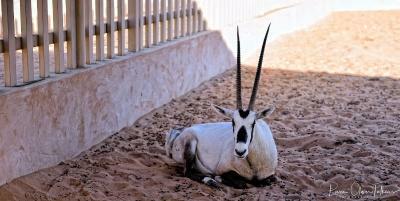 Lock in a great price for Arabian Oryx Camp – rated 8.5 by recent guests! 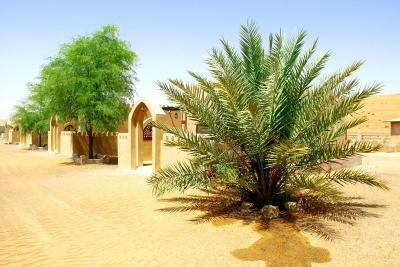 Nice location, in the desert, yet easily accessible. 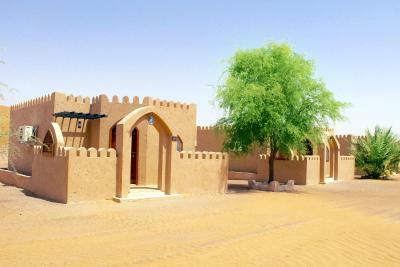 Spacious rooms with all th necessities (electricity and hot water) despite it being in the desert. Good and tasty meal selection. Great spread at dinner and breakfast. Friendly entertainers. 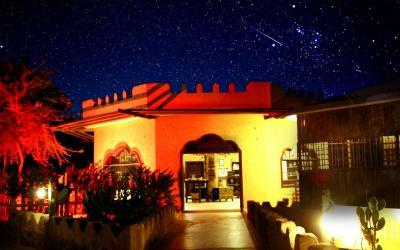 Located in the middle of the desert so it gets really dark at night and you can stargaze really well. We were actually lost in the dark trying to find the hotel, but after some calling and WhatsApping someone found us and led the way. Food is decent enough. 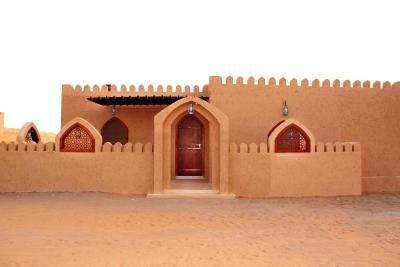 The hotel offers several activities for guests to do: Quadbiking, Camel riding, Dunebashing (though you're not allowed to drive yourself), Sandboarding, Excursions. We did sandboarding and quadbiking and they were arranged quite well. The staff are very friendly. The food was really tasty. 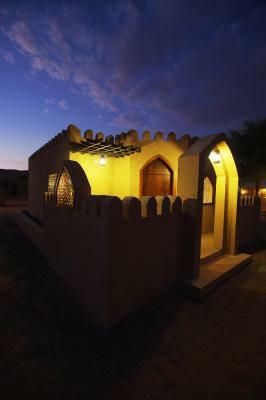 The accommodation was so nice. 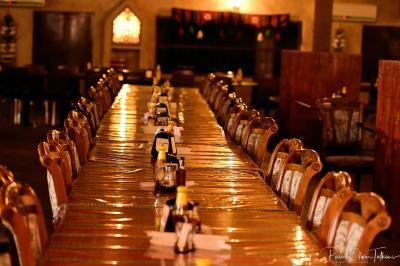 A lot of care was taken in choosing decor and the set up. The food was great. 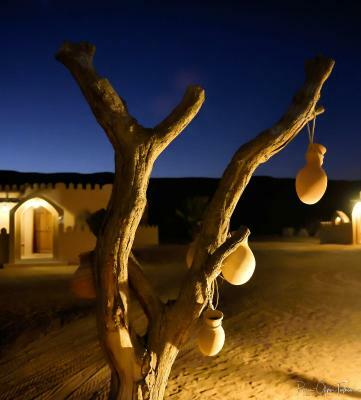 The desert itself is breathtaking. 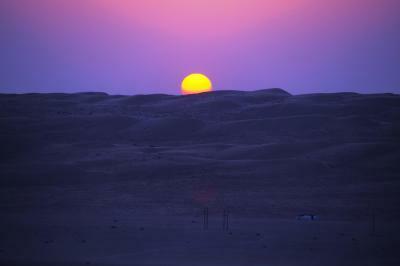 We went dune bashing and on a sunset tour and it was worth every penny. Location. Lot of activities around the camp. The buffet was good. 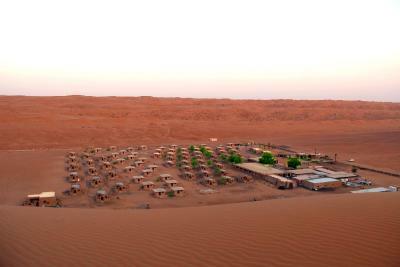 Nice location of the camp at the foot of a large dune. The luch and dinner was really delicious. 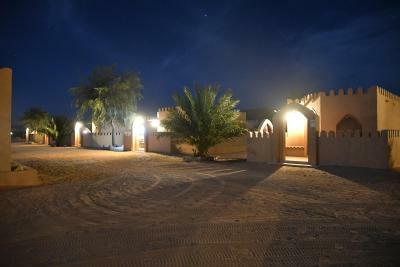 We had a very pleasant and excellent stay in this camp. We were heartly welcomed upon arrival. We were taken care of during our whole stay. 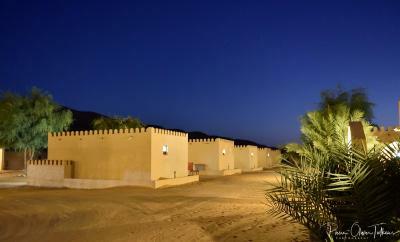 The domain is a 12 km offroad drive in the desert, offering a nice experience. 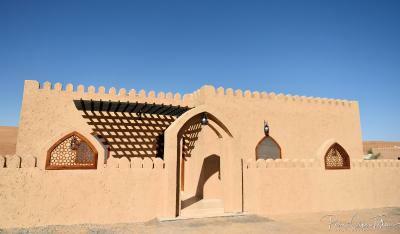 The rooms (individual small bungalows) offer the required comfort for a stay in the desert. It is nice to stay at the camp fire in the eveing. 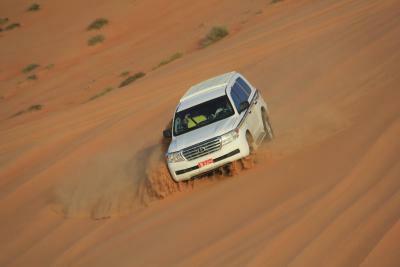 We took the 4x4 drive, which is really exciting. Also the sunset and sunrise tour was nice. I can recommend this place and we definitely will go back. 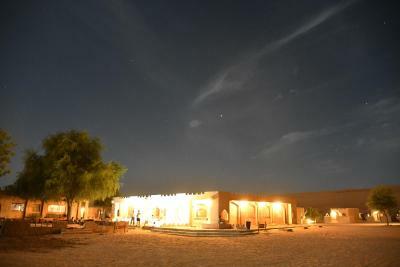 In the middle of Sharqiya Sands of Oman’s Empty Quarter, Arabian Oryx Camp provides a Bedouin experience in the desert. 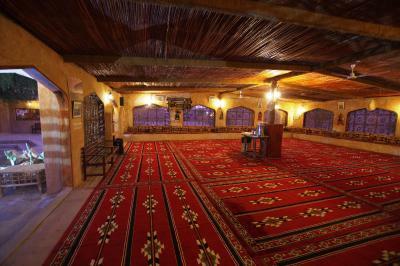 It features a typical Arabic restaurant that serves a breakfast and dinner buffet. 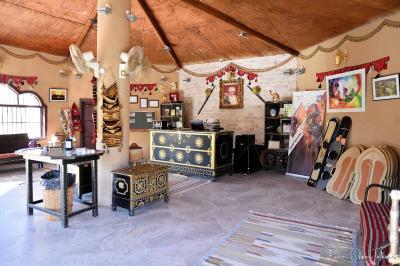 All Bedouin style tents at Arabian Oryx are fitted with tile floors. Each has split air conditioning, a fridge and a tea/coffee maker. 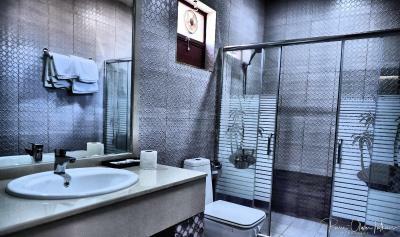 A shower and free toiletries are provided in the private bathroom. 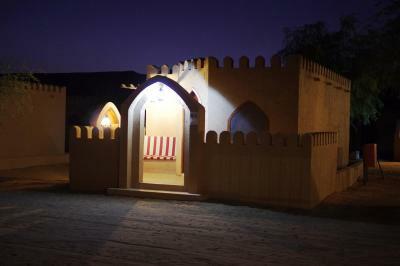 Guests can enjoy the various traditional meals which are cooked daily and served by the campfire. 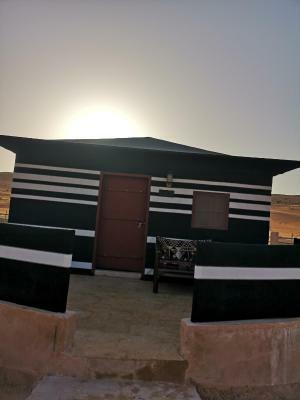 Complimentary tea and coffee are served all day at Arab Oryx Camp. Sand skating and dune bashing are available by Arab Oryx. 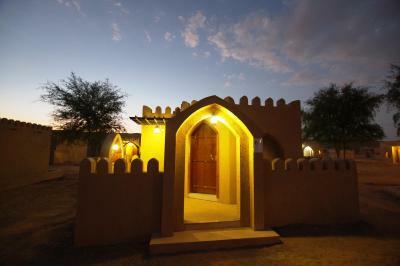 The hotel also arranges desert safaris with a private camp. 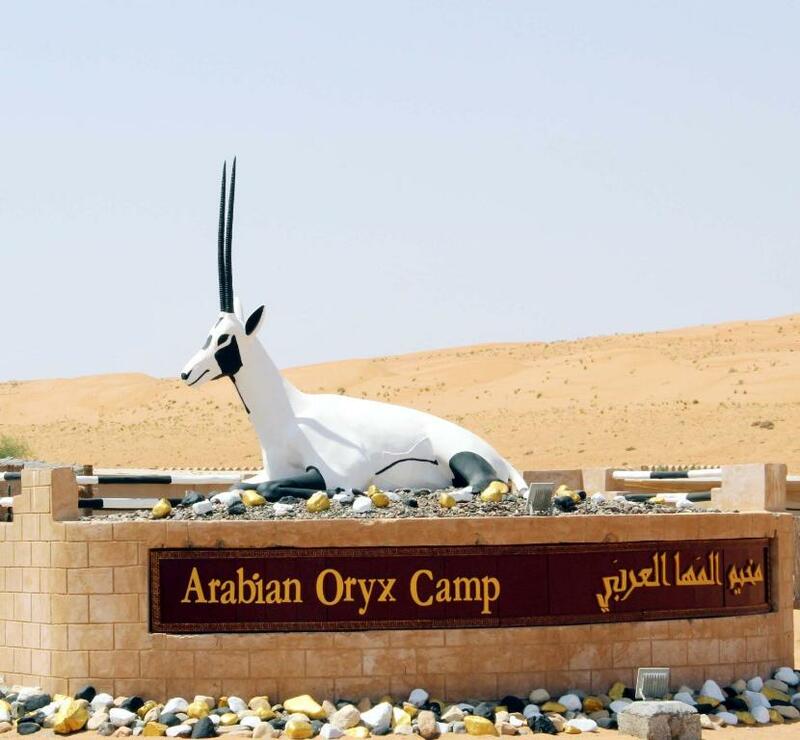 Seeb International Airport is less than 124 miles from Arab Oryx Camp. An airport shuttle is available upon request. 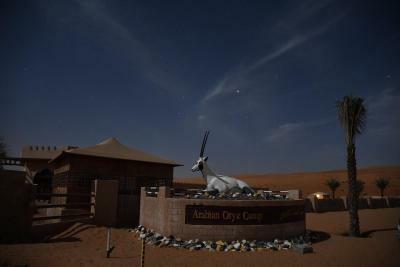 When would you like to stay at Arabian Oryx Camp? 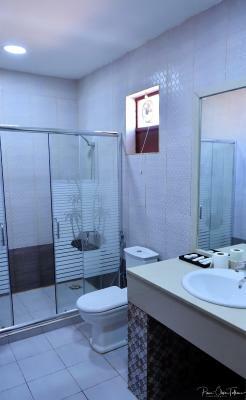 Air-conditioned room with fridge, sitting area and private bathroom. 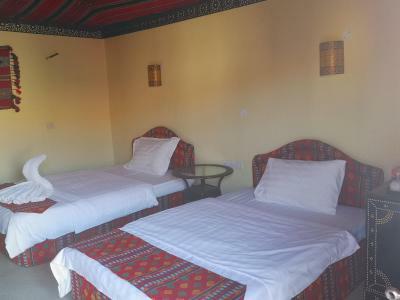 This twin/double room has a balcony, mountain view and electric kettle. This tent features a private entrance, barbecue and dishwasher. 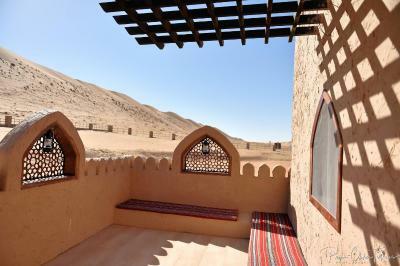 This twin room features a balcony, seating area and air conditioning. 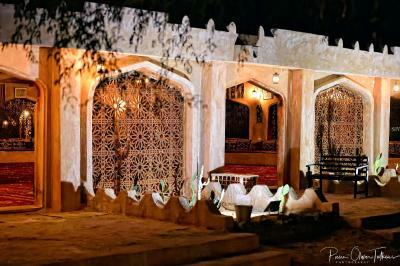 Rooms are 102 square yards. 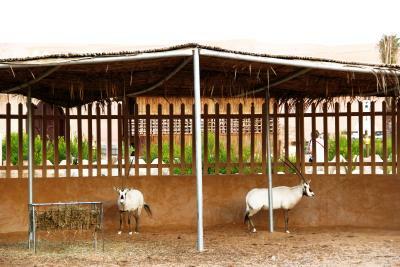 House Rules Arabian Oryx Camp takes special requests – add in the next step! One child under 12 years is charged OMR 15 per night when using existing beds. 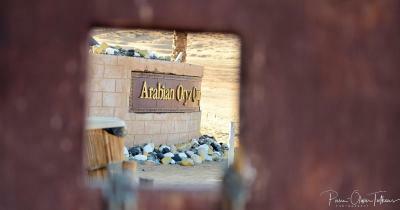 Arabian Oryx Camp accepts these cards and reserves the right to temporarily hold an amount prior to arrival. 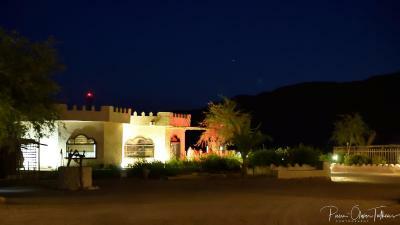 Please note that the guest has to pay cash only to the hotel upon arrival. A storm came and the tent started to collapse. Some near us did. 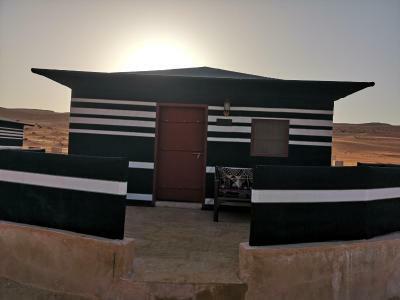 We were rapidly relocated to the main camp but should it not have been anticipated? The breakfast was distinctly average. The sunset jeep tour is too expensive for what it is. A better stocked mini bar refrigerator would have been helpful. No alcohol available. The rooms were cozy and comfortable. 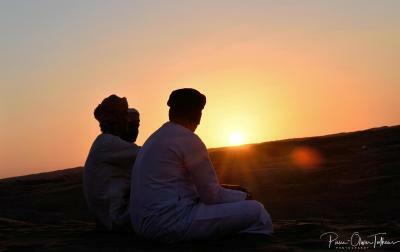 We went on a lovely morning camel ride and did some sunset dune bashing in the desert. 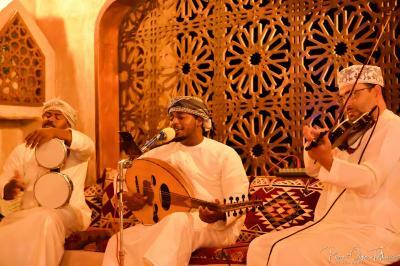 The food is simple Omani dishes, with an authentic dining experience, complete with Omani music. 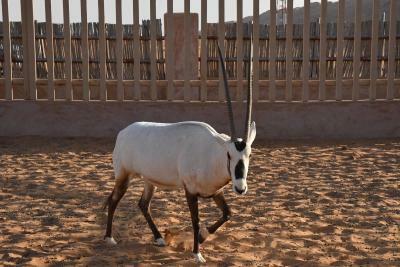 Also loved the oryx on site. Lovely place, would stay again. Dinner was very good may be some child meal would be perfect, bbq meat was a little spiced and my daughter couldn't eat enough. Playground should be maintained. 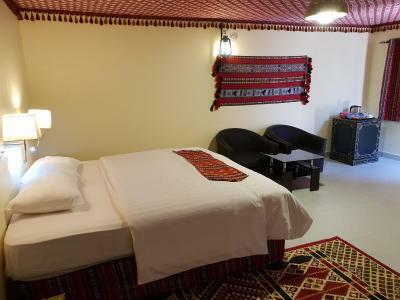 We had an upgrade to the premium room, I really appreciate having the third bed ready because I asked the same for all the rooms in Oman and this was the only one we found already set. 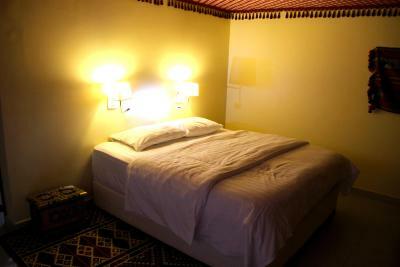 We really appreciate common spaces, restaurant, animals in the nearby, breakfast and our room. We have booked a sunrise tour, but the driver never turned up, so we ended up waking up very early for nothing! When we complained at the reception, the answer was: "sorry, you booked with my colleague, I can't do anything". The camp is overpriced overall, especially for this level of service. 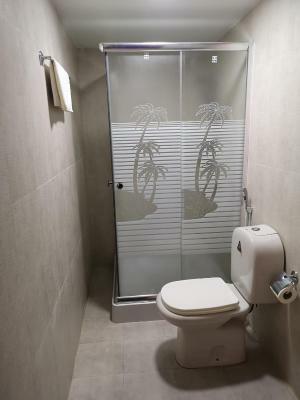 Initial room given had a broken toilet seat. The tents were fine but a little damp. That was probably due to the weather as we had a sand storm for the whole time. The food was lovely and plenty of it. 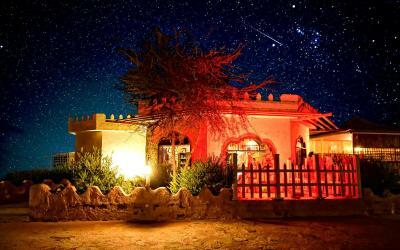 The location is great and not to far into the desert. we loved the place but keep in mind there is nothing else around and no alcohol is available. 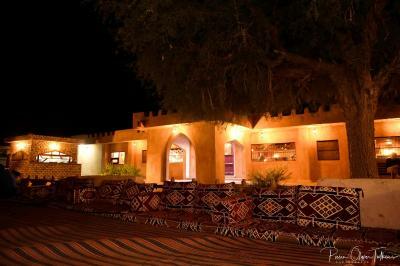 We liked the hospitality of the staff, the activities and food. We got an upgrade on the booking and we loved the room we got. 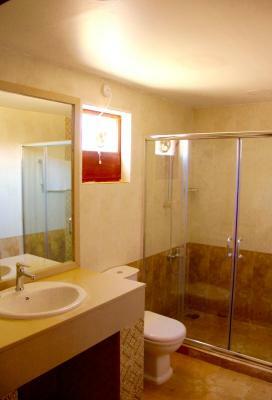 Had all the amenities and was very comfortable. Staff was very helpful and they replaced the broken fridge in our room as well.